Purple deadnettle (Lamium purpureum) is beginning to show up in landscapes now that spring has arrived and the temperature is getting warmer. A winter annual, purple deadnettle is germinating now from the seeds they produced last year. This weed can easily reach heights of 16 - 18". 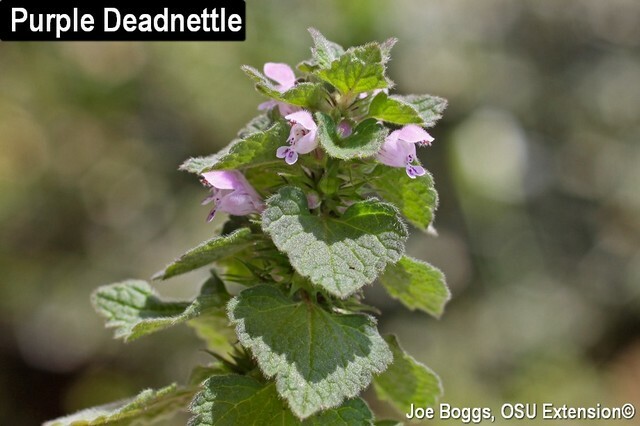 Purple deadnettle has a distinct four-sided stem which are common to plants in the Lamiaceae (mint) family. The leaves are opposite, triangular to heart shaped with a serrated leaf margin. The leaves appear crowed near the upper part of the stem; they are overlapping and bent downward. These leaves are purple to red in color. 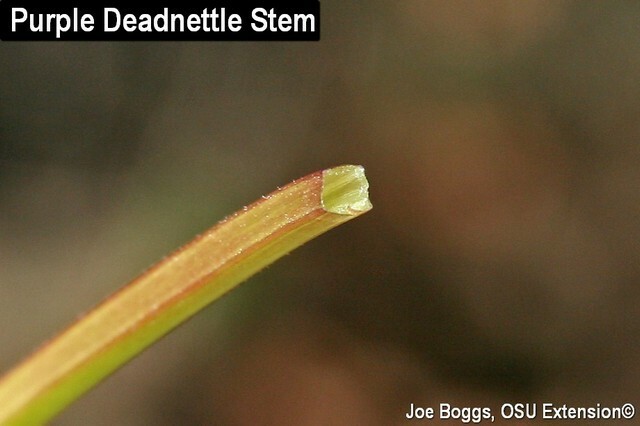 The lower leaves are larger and have longer petioles and tend to be deep green in color. The flowers are light purple to pink. 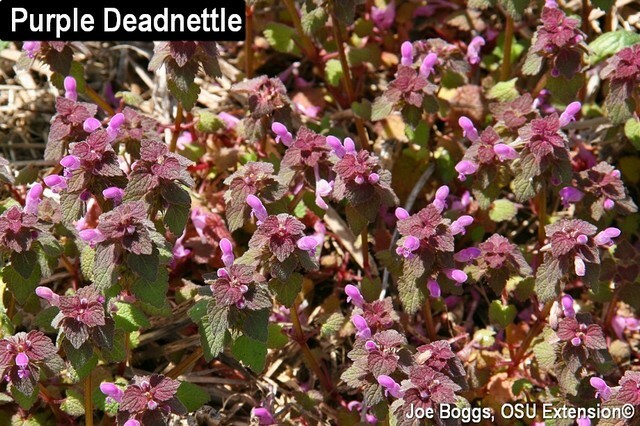 Purple deadnettle can often be mistaken for henbit (Lamium amplexicaule), another winter annual that is also in the Lamiaceae family. 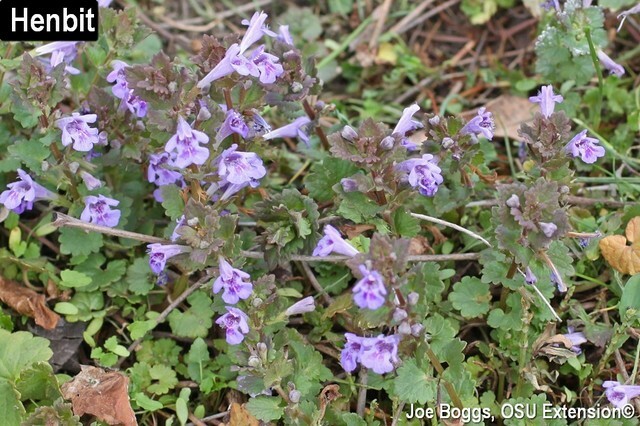 Henbit is similar but the leaves are scalloped and are spaced evenly along the stem. It also does not have the purple to red color of the upper leaves. 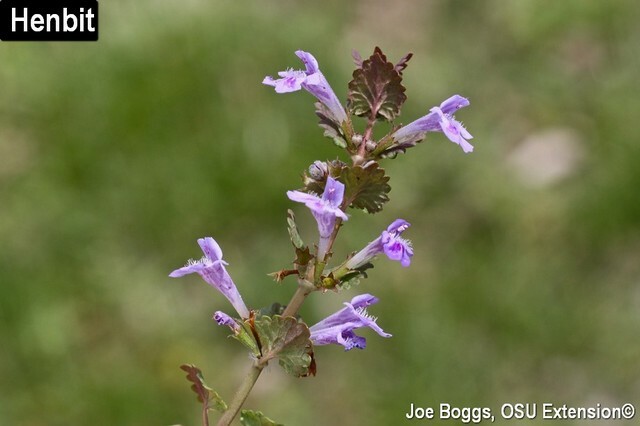 Although purple deadnettle and henbit are considered weeds, one might find it interesting and important to know that they are both utilized as a food source by pollinators in early spring. 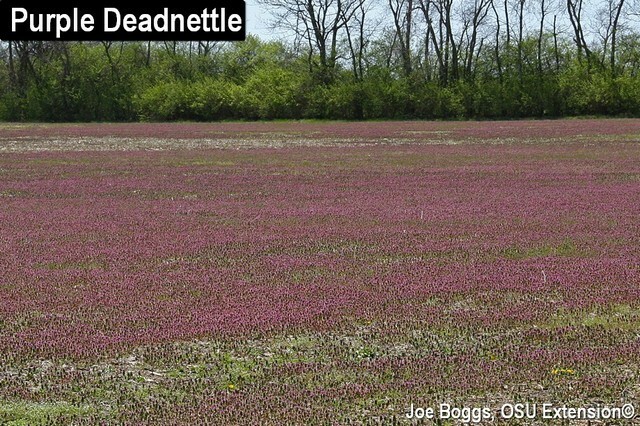 The nectar of purple deadnettle is attractive to bumble bees, honey bees and digger bees, a group of large bees that nest in the ground.The flowers of henbit provide a pollen and nectar source for long tongued bees such as honey bees and bumble bees in March and April.